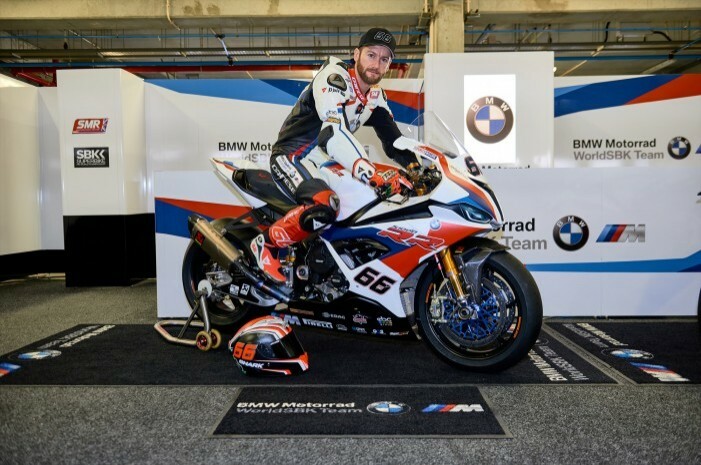 Britain’s Tom Sykes has this morning at Portimao unwrapped the BMW Motorrad colours under which he will contest the 2019 season. The S1000RR takes it cues from the iconic BMW-M colours, with swathes of red and blue running through the matte white finish machine. The team now looks forward to what will be an exciting new era for the Shaun Muir Racing.